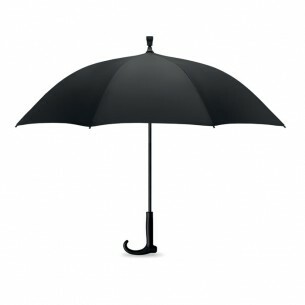 23 inch auto open umbrella in 190T pongee with fibre glass shaft and ribs with black tips. Manual closure. The shaft has an additional walking stick functionality.